Gene Hackman was born in San Bernardino, California, United States, on January 30, 1930, is an American actor. 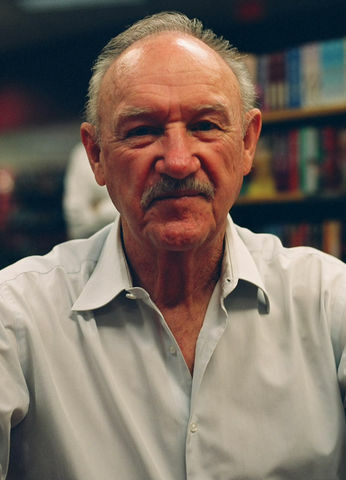 Young Gene Hackman began his acting career on the stage and on American television series. He made his Broadway debut in a play Children From Their Games (1963). He made his big screen debut in biographical movie Mad Dog Coll (1961) in uncredited role as Policeman. Gene's breakthrough performance came as Buck Barrow in biographical crime movie Bonnie and Clyde (1967), for which he was nominated for the Academy Award for Best Supporting Actor. He won the Academy Award for Best Actor for his role as Det. Jimmy "Popeye" Doyle in crime thriller film The French Connection (1971). He won the Academy Award for Best Supporting Actor for his role as "Little" Bill Daggett in revisionist Western film Unforgiven (1992). He received an nomination for the Academy Award for Best Actor for his role as Agent Rupert Anderson in crime thriller film Mississippi Burning (1988). He was nominated for the Academy Award for Best Supporting Actor for his role as Gene Garrison - Son in drama film I Never Sang for My Father (1970). He portrayed Lex Luthor in superhero films Superman (1978) and sequel Superman II (1980) opposite Christopher Reeve. He won four Golden Globes and one SAG Award. Studied journalism and TV production at the University of Illinois. He was married to Faye Maltese (1956-1986), they had three children. He married Betsy Arakawa in 1991. He has written three historical fiction novels. Fan of the Jacksonville Jaguars. He competed in Sports Car Club of America races driving an open wheeled Formula Ford in 1970s. Lives in Santa Fe, New Mexico. I went in the Marines when I was 16. I spent four and a half years in the Marines and then came right to New York to be an actor. And then seven years later, I got my first job. I'm not a sentimental guy. I'm disappointed that success hasn't been a Himalayan feeling. I wanted to act, but I'd always been convinced that actors had to be handsome. That came from the days when Errol Flynn was my idol. I'd come out of a theater and be startled when I looked in a mirror because I didn't look like Flynn. I felt like him. If you look at yourself as a star, you've already lost something in the portrayal of any human being.